The National Coalition of Chiefs (‘NCC”) is committed to defeating on-reserve poverty by working with the natural resource industry, speaking out in support of responsible development and by creating a forum for discussion between First Nation Chiefs, Metis leaders and leaders from the Natural Resource Industry of Canada with a focus on the Oil and Gas Industry. The NCC was formed by First Nation Chiefs and Metis Leaders in response to the poverty crisis and social despair that currently exists in our communities throughout Canada. The NCC’s mandate and purpose was developed through comprehensive dialogue, meetings and consideration of best practices with the intent of creating a national organization focused on creating mutually-beneficial relationships among First Nations, Metis and industry leadership. 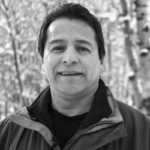 Is from Skidegate Haida Gwaii and understands the value of working with companies for opportunities for his people. we need to be involved at every level of shipping and cargo, as a researcher Chief Jones understands the environmental challenges we all face in our global community and the role hydrocarbons play in our daily lives. Bruce Dumont was born in Olds, Alberta in 1944, to Mother, Cecile Marie Dumont (Vaness) from Onion Lake Saskatchewan, and to father Joseph Ambrose Dumont, from Kikino Alberta, both of Métis Ancestry. Bruce received his education at the Northern Alberta Institute of Technology (NAIT) as a Tradesman and as a result has his Red Seal in Electronics. Bruce changed occupation to the BC Forest Industry completing his career with the Workers Compensation Board of BC. 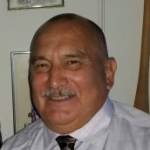 After his post-secondary, Bruce spent 9 years in the Electronics field; moved into the BC forest industry with several years as a supervisor on the west coast and joined the Workers Compensation Board in 1992 as a safety officer and retired in 2006. As an active Métis Community Member serving his community for many years, Bruce ran for the position of Vice President for the Métis Nation British Columbia and won his election in 2004 where he served less than one (1) year before successfully winning the election for the position of President in 2005. Bruce served a total of three terms in office as President of the Métis Nation British Columbia and as the Minister for Natural Resources. During his term in office, Bruce also sat as a Board of Governor at the national level for the Métis National Council as Minister for Culture, Heritage and Language and Minister for Health and Sport. 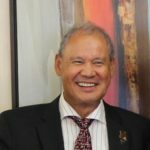 In 2014, Bruce was appointed to two important Committees; BC Hydro – Strategic Aboriginal Engagement Committee / SAEC and a Steward with the Northern Gateway Project / NGP as MNBC is an Aboriginal Equity Partner / AEP. Bruce presently resides in Victoria, BC with his Wife Joanne; together they share 7 children and 12 grandchildren.